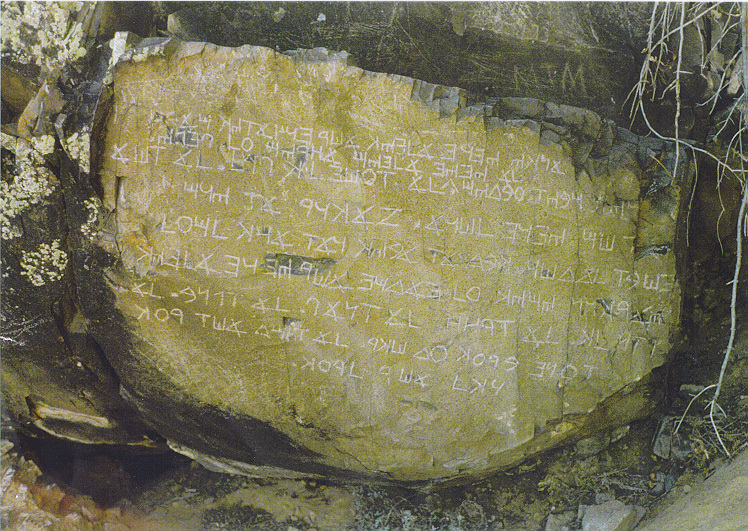 The Los Lunas Inscription is an abridged version of the Decalogue or Ten Commandments, carved into the flat face of a large boulder resting on the side of Hidden Mountain, near Los Lunas, New Mexico, about 35 miles south of Albuquerque. The language is Hebrew, and the script is the Old Hebrew alphabet, with a few Greek letters mixed in. 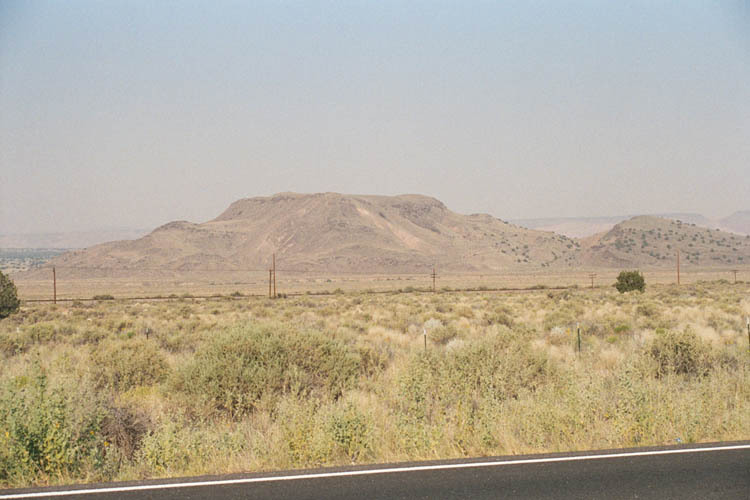 See Cline (1982), Deal (1984), Stonebreaker (1982), Underwood (1982), and/or Neuhoff (1999) for transcriptions and translation, and Deal (1984) for discussion and photographs of the setting. 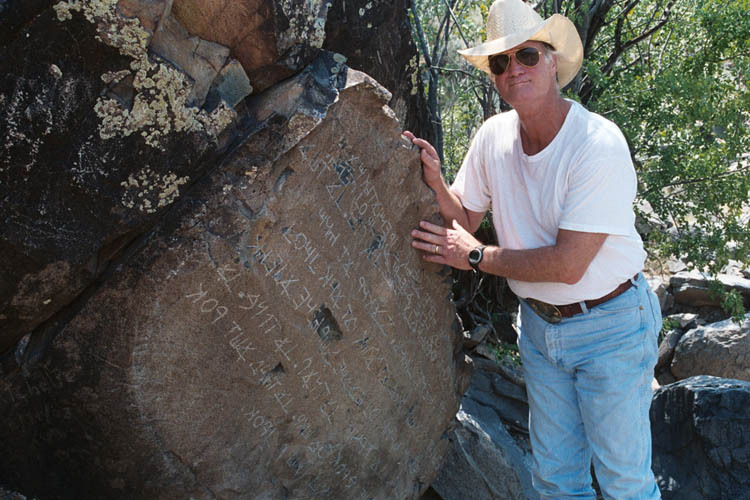 In 1996, Prof. James D. Tabor of the Dept. 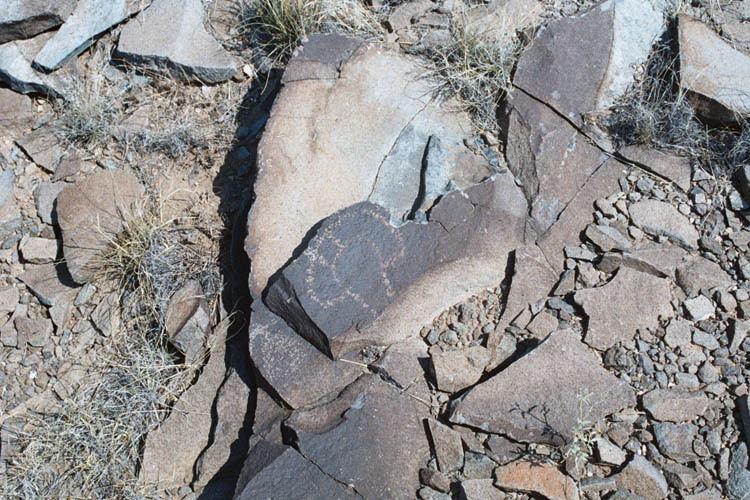 of Religious Studies, University of North Carolina - Charlotte, interviewed the late Professor Frank Hibben (1910-2002), a retired University of New Mexico archaeologist, "who is convinced that the inscription is ancient and thus authentic. He reports that he first saw the text in 1933. At the time it was covered with lichen and patination and was hardly visible. He was taken to the site by a guide who had seen it as a boy, back in the 1880s." (Tabor 1997) At present the inscription itself is badly chalked and scrubbed up. However, Moorehouse compares the surviving weathering on the inscription to that on a nearby modern graffito dating itself to 1930. He concludes that the Decalogue inscription is clearly many times older than this graffito, and that 500 to 2000 years would not be an unreasonable estimate of its age. The inscription uses Greek tau, zeta, delta, eta, and kappa (reversed) in place of their Hebrew counterparts taw, zayin, daleth, heth, and caph, indicating a Greek influence, as well as a post-Alexandrian date, despite the archaic form of aleph used. The letters yodh, qoph, and the flat-bottomed shin have a distinctively Samaritan form, suggesting that the inscription may be Samaritan in origin. See Lidzbarski (1902), Purvis (1968). Cyrus Gordon (1995) proposes that the Los Lunas Decalogue is in fact a Samaritan mezuzah. The familiar Jewish mezuzah is a tiny scroll placed in a small container mounted by the entrance to a house. The ancient Samaritan mezuzah, on the other hand, was commonly a large stone slab placed by the gateway to a property or synagogue, and bearing an abridged version of the Decalogue. Gordon points out that prosperous Samaritan shipowners were known to live in Greek communities at the time of Theodosius I circa 390 A.D., and proposes that the most likely age of the Los Lunas inscription is the Byzantine period. Procopius elsewhere states that Justinian was responsible for the deaths of no less than three trillion (sic!) persons, so perhaps his estimate that 100,000 Samaritans were killed in this uprising may be a little inflated. Nevertheless, a persecution such as this, and perhaps this very one, may have been the impetus behind the Los Lunas Inscription. Pummer (1987, p. 4) reports that the uprising in question occurred in 529 A.D., and that "after the Muslim conquest of Palestine from 634 A.D. on, the Samaritan swere reduced even further in their numbers through massacres and conversions. Particularly under the Abbasids [750-1258 A.D.] their sufferings increased greatly." Although the Samaritans have survived into the 21st century, they were clearly more numerous and prosperous in the first millenium A.D. than the second. None of this proves anything. Until confirmation comes from another quarter, all we can really do is provide a clearer idea of the stone's contents for those who are intrigued by it, and give those who reject the inscription's authenticity ... a deeper appreciation of what they have rejected. Yet more evidence of Greco-Samaritan interactions is provided by Prof. Reinhard Pummer (1998, p. 29), who reports that "Ancient literature hints that Samaritan synagogues may have been located in Rome and Tarsus between the fourth and sixth centuries C.E. Short inscriptions in Samaritan and Greek script found in Thessalonica and Syracuse may have come from Samaritan synagogues in these cities during the same time period. Apparently, the Samaritans flourished in the Diaspora." One Samaritan synagogue in Palestine, at Sha'alvim, in Judea N.W. of Jerusalem, simultaneously bears religious inscriptions in Samaritan letters and secular inscriptions in Greek. Another at Tell Quasile in Tel Aviv shows considerable Greek architectural influence. (Ibid., p. 30.) In his book, Pummer reports that the Samaritan wedding service even today contains a few words of Greek, and that a Samaritan deed of divorce from Egypt, dating to 586 A.D., is written in Greek (1987, p. 19). A Samaritan inscription in the nethermost diaspora might therefore well exhibit some Greek attributes. It should be noted, however, that Pummer himself (personal communication, Aug. 31, 1998) does not believe that the Los Lunas inscription could be Samaritan. First, in Verse 8, the Los Lunas text follows the Masoretic (standard Jewish) text by saying "remember the Sabbath day to keep it holy," whereas the Samaritan text always says "preserve the Sabbath day to keep it holy." Second, the Samaritans added a clause to the tenth commandment calling for a temple to be built on Mt. Gerizim, but this clause is absent in Los Lunas. And third, although an inscription in Greek language written in Samaritan letters is known, he is not aware of Greek-style letters ever appearing in Samaritan inscriptions. 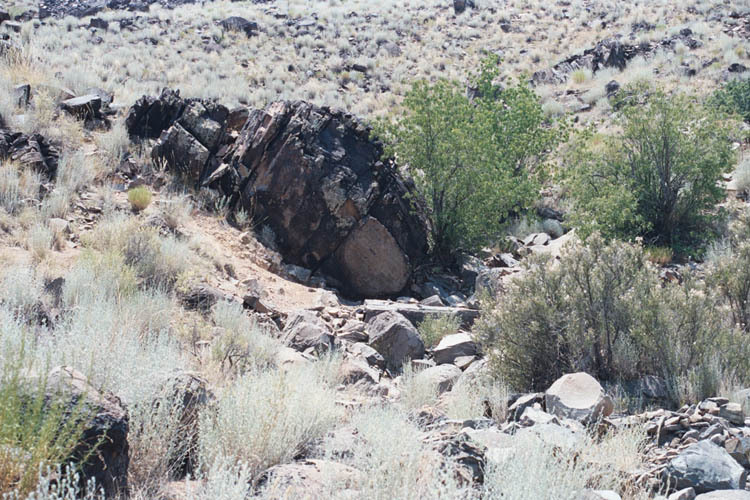 The stone is located on New Mexico state trust land, as indicated in the New Mexico State Land Office's webpage on the "Mystery Stone" at http://www.nmstatelands.org/GetPage.aspx?sectionID=39&PagID=186. 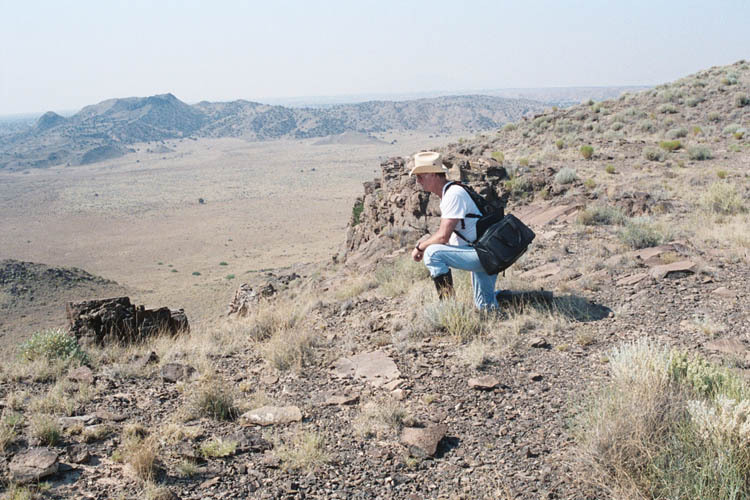 Visitors are supposed to obtain a permit in advance, costing $25 per family, from the New Mexico State Land Office, 310 Old Santa Fe Trail, Santa Fe, NM 87504, (505) 827-5724. 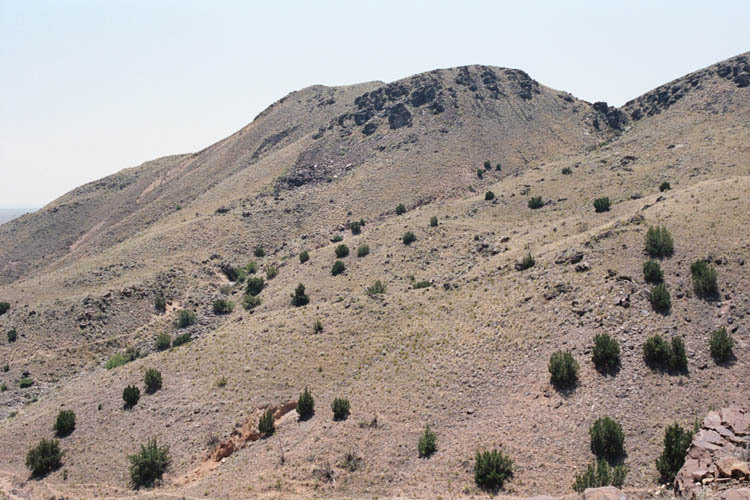 A copy of the permit application, with further details, is downloadable from http://www.nmstatelands.org/PDFs/crd_recpermit.pdf. [Links updated 7/24/06.] 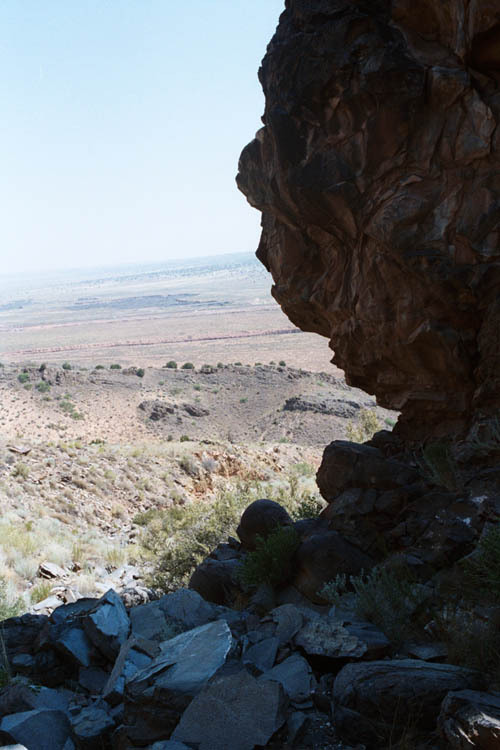 The site is about 1/2 mile south of State Route 6 at Rio Puerco, about 16 miles west of Los Lunas. A map and detailed directions are available from the State Land Office. 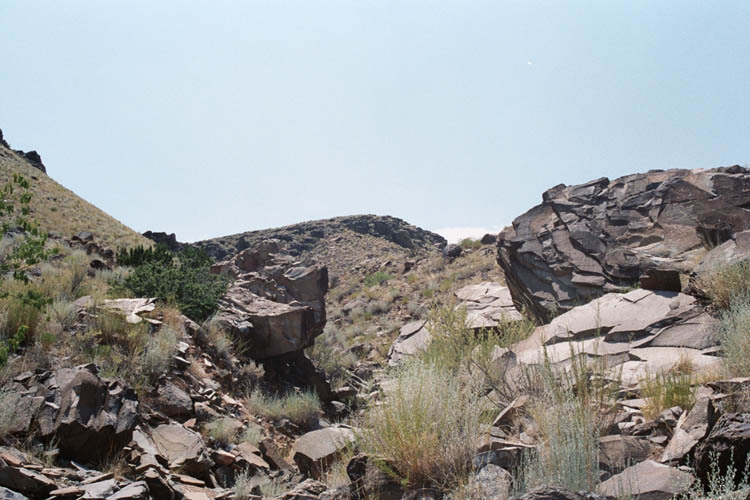 Cline, Donald, "The Los Lunas Stone," Epigraphic Society Occasional Publications 10 (1982, part 10), 68-73. Deal, David Allen, Discovery of Ancient America, 1st ed., Kherem La Yah Press, Irvine CA, 1984. 1999 3rd Edition available from David Deal at 1651 Monte Vista Drive, Vista, California 92084 or davebigdeal@cox.net for $9.20, P&H included. Fell, Barry, "Ancient Punctuation and the Los Lunas Text," Epigraphic Society Occasional Publicatons 13 (1985), 32-43 and cover photo. Gordon, Cyrus, "Diffusion of Near East Culture in Antiquity and in Byzantine Times," Orient 30-31 (1995), 69-81. 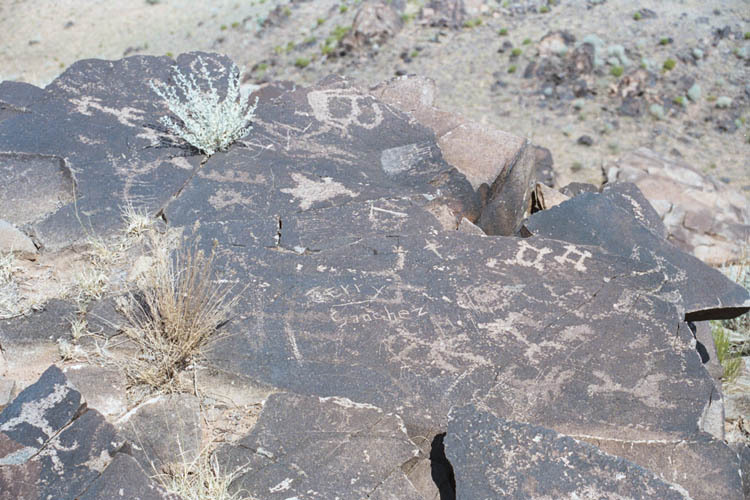 Leonard, Phillip M., and William R. McGlone, "An Epigraphic Hoax on Trial in New Mexico," Epigraphic Society Occasional Publications 17 (1988), 206-219. Lidzbarski, Mark, Letter Chart in Appendix to Wilhelm Gesenius and Emil Kautzsch, Hebr�ische Grammatik, 27th ed., Leipzig, 1902. 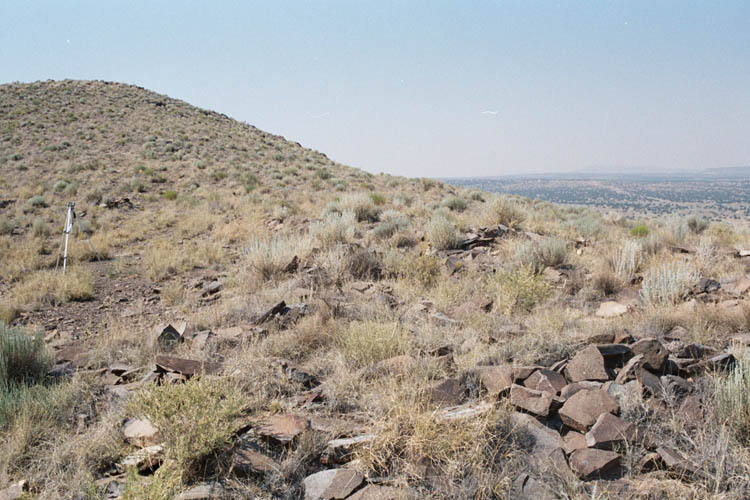 McGlone, William R., Phillip M. Leonard, James L. Guthrie, Rollin W. Gillespie, and James P. Whittall, Jr., Ancient American Inscriptions: Plow Marks or History? Early Sites Research Society, Sutton MA, 1993. 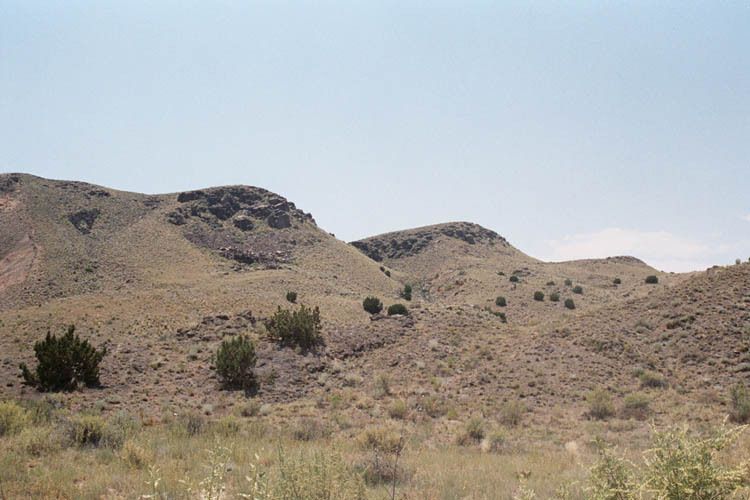 Moorehouse, George E., "The Los Lunas Inscriptions: A Geological Study," Epigraphic Society Occasional Publicatons, 13 (1985), 44-50. Pummer, Reinhard, "How to Tell a Samaritan Synagogue from a Jewish Synagogue," Biblical Archaeology Review, vol. 24 #3, May/June 1998, pp. 24-35. Online at http://www.bib-arch.org/barmj98/pummer.html. Pummer, Reinhard, The Samaritans, E.J. Brill, Leiden, 1987. Procopius of Caesarea, The Secret History c. 550 A.D. Richard Atwater translation, edited by Tim Spalding, online at www.isidore-of-seville.com/library-procopius/secrethistory-1.htm. Note: The reader is strongly cautioned against reading Chapter 9, and in particular screen 42. Purvis, J.D., The Samaritan Pentateuch and the Origin of the Samaritan Sect Harvard Semitic Monographs, vol. 2. Harvard University Press, 1968. Skupin, Michael, "The Los Lunas Errata," Epigraphic Society Occasional Publications 18 (1989), 249-52. 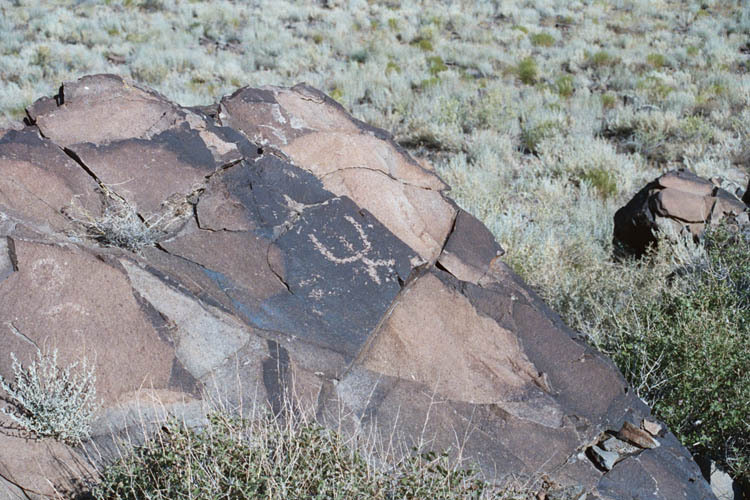 Stonebreaker, Jay, "A Decipherment of the Los Lunas Decalogue Inscription," Epigraphic Society Occasional Publications 10 (1982, part 1), 74-81. 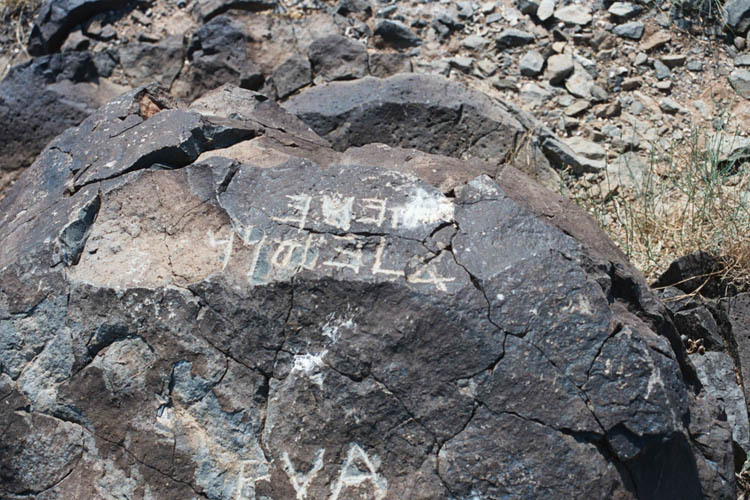 Tabor, James D. "An Ancient Hebrew Inscription in New Mexico: Fact or Fraud?" United Israel Bulletin Vol. 52, Summer 1997, pp. 1-3. Underwood, L. Lyle, "The Los Lunas Inscription," Epigraphic Society Occasional Publications 10 (1982, part 1), 57-67. Return to top of this page . Return to Archaeological Outliers Page . Send comments to: mcculloch.2@osu.edu. Please mention the webpage you are commenting on.